-Dustin Hoffman's Major Motion Picture "Boychoir"
Everybody was impressed!!! My guests enjoyed his performance a lot!! I got a lot of compliments about him, everybody wanted to get his contact! I loved his performance and I actually couldn’t wait to see him on my wedding! Matt is outstanding and so fun to work with. He changes the whole vibe of the event for the better. We would recommend him 100 times over. He was great! I heard that everyoe loved him. My husband and I during the wedding weren't able to listen to him the entire time as we were busy during cocktail hour- however we heard great reviews. Very nice to work with as well! Matt performed at my wedding and was awesome! He was professional, punctual and a true crowd pleaser. Matt played the violin for my walk down the aisle, then played during cocktails, followed by an energetic, get people dancing, performance. He did it all! Soft and sweet, beautiful background music, and lively, electric performance. So many people asked “where did you find ‘thatviolinguy”? I answered, GigSalad! Truly, Matt is incredibly talented and had our guests over-the-top impressed. He helped make us look like fantastic hosts! Thank you Matt!!! Ps I don’t plan to get married again but hope I can host another event to have Matt return with his beautiful and remarkable talent! We hired Matt for my cousins wedding and he was absolutely amazing. He gets the crowd going and loves what he does, which makes for an awesome performance. Thank you Thank you Thank you Matt!!!!!! I do love performing! Thank you Leslie and everyone else for making the day possible. Best of luck to you all! Matt did an awesome job at the gig. The guests loved the performance. I hosted my first Pink and Black Ball and hired him to entertain my guest during cocktail hour. He was punctual, professional , engaging and flexible. He required very little direction and arrived ready to play with his own equipment. My guests loved it! I highly recommend you to hire him. Matt is a boss!! He made our first song everything!! His set for the dinner service was incredible, blew everyone away!! Book this dude, he’s amazing!!! Having "that violin guy" at my wedding was great, he got there on time, played beautifully the entire time, enhanced our small garden wedding!! My husband and I found Matt, thatviolinguy, on Instagram a couple years back and i always said I want him at our wedding! His talent is just mind blowing! Well Matt was available that day and he was just absolutely phenomenal!! Leading up to our wedding he emailed me back right away with any questions I had. He even learned a couple new songs we had asked for! On our wedding day Matt was the hit of the night!!! Our guests still can’t stop raving about it and neither can we! I will never forget how special our night was and Matt helped make that all possible! 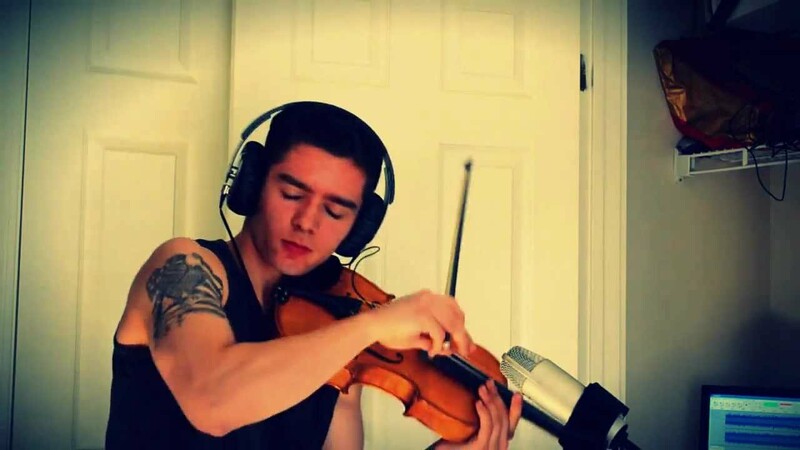 We highly recommend Matt for anyone who wants a true professional and a skilled violinist! "That guys is so cool, look his violin has a skull on it!" That Violin Guy is the perfect name for Matt the violinist who absolutely slays on what I can only assume is a custom black skull violin. Guests at our event, without knowing that Matt uses this moniker, were referring to him as "that cool violin guy". Matt did a great job, even when our sound system stopped working on him two times he kept his initial poise and kept on playing. My only regret is not having him stay on for the whole night. I suggest you find a reason to book Matt ASAP! All I can say it amazing!!! Our baby shower guests were in complete awe! We received so many compliments, with a lot of them saying it was the best shower they've ever been too. The music soundly beautifully. Wasn't too loud or too soft. He was charming and kind. Beyond talented! Highly recommend 100%!!!!! Thank you Stephanie!!! :) it was a fun party to perform at! Matthew was amazing, he made the proposal special. The proposal was planned for outdoors, even though it was snowing and cold, he was great. Very professional. He made himself available to discuss several song choices. Giving me his professional opinion and artistic view on a song list. The day of my proposal he was prompt and on time. He played each song beautifully and my event went off without a hitch. He truly set the mood for my marriage proposal. Definitely considering him for our wedding. ThatViolinGuy was absolutely fantastic...not only was the quality and range of his play list exceptional but his natural desire to engage the crowd elevated the entertainment to another level. I will be referring GigSald and ThatViolinGuy to others as well as plan to re-hire him for future events. I had a great time. The 🎻 guy was very accommodating. A great artist and a fine fellow. Matt brought elegance to our wedding ceremony and fun to our cocktail hour with his music! He played specific songs that we requested, as well as some songs he chose. He's a talented professional who was both reliable and affordable. We're so happy he was able to play a part in our wedding day! Thank you for having me Melanie! Book this guy! Get him now before he realizes what he could really be charging ;) If you're looking for a professional, ridiculously talented, easy to work with, rock star - this is your guy. We hired him for an 8am Daybreaker-esque dance party and he definitely brought the party. You were a pleasure to work with Ms. Conlon. Thank you to all who made it happen! What a nice kid coming all way up here. He can play anything. It was at the age of three that Matt Shredder picked up his first violin. After eleven years of practice and classical training, he started to look at other violinists and knew he was different. He did not want to follow the footsteps of those before him. At the age of 14 was when he performed in front of his high school for the first time with an original composition; and won the talent show. After this, around his high school and hometown he was referred to as "that violin guy". His love for pop and hip hop music combined with classical training inspired him to build his own brand of musician. Pop resonated so much better with the crowd than the classical he had been playing for years , that it was an immediate decision. Work began in 2010 when Matt taught himself how to use Fruity Loops to record. produce and edit his own audio. He started posting videos on YouTube, wrote original songs, played at family parties, and anywhere he could. In 2013, things sparked off when Matt was discovered on YouTube by Axwell records with his cover of "In My Mind", which had racked up almost 100,000 views. A separate American producer found it and offered a spot on a remix of a song featuring Nicki Minaj. Shortly thereafter, Matt soloed in front of over 1.000 people at the Bushnell Theater in Hartford, CT "He's a Pirate", with a full orchestra backdrop and 100 person choir. Only a few months later, he worked with acclaimed movie director Francois Gerard of "The Red Violin", and worked alongside American actor Dustin Hoffman on "Boychoir", and shortly thereafter was accepted as a VIP audition guest out of over 10,000 applicants on Season 9 of America's Got Talent. He was also recognized by Drakes collaborative partner, iLoveMakonnen, for his cover of "Tuesday". Notorious for his shredded bows, Matt got invited to join two rock and country bands. After beginning to post videos of his live and studio playing, Instagram became his biggest social media outlet, now with nearly 20,000 international fans. In 2015, talent agents Rick Anthony and John Thomas "JT Talent" found Matt on Instagram and subsequently mentored him and invited him to several NYC red carpet events and movie filmings, and interviews by radio shows such as "The Lex B Show". Matt will be appearing in the upcoming American film "American Brawler" featuring Zach McGowan. In mid 2016, Matt also performed alongside pro skateboarder and Jackass star Bam Margera in front of 3,000 people at the Agora Theater in Cleveland, Ohio, and help work on some upcoming content from Bam. In January 2017, Matt reached the Top 20 artists in the Reverbnation.com national "Instrumental" genre charts. Some notable performance venues include opening for the Hartford Wolfpacks at the CT XL Center, soloing at the Bushnell Performing Arts Center, Dodd Stadium in Norwich, Connecticut, Agora Theater in Cleveland, Ohio, Muzik in Toronto and the Toronto Congress Centre, in addition to various nightclubs, red carpet events, weddings and corporate events around New York City, Boston and Los Angeles.